You can follow Elizabeth’s reviews on Goodreads by clicking the “G” in the sidebar. It’s a bit eerie to find a spiritual memoir that describes so accurately the emptiness, lethargy, and dissonance I feel in my faith life these days. I’ve taken comfort from St. John of the Cross and called it a “dark night”; Lauren Winner calls it “the middle” of her faith journey. After converting from Judaism and writing a book about it, and after launching both a writing and academic career based on it, Winner is pretty audacious to admit she’s bored with faith. And yet I believe her. Carol Bly calls revision the long middle stage of writing, and this stage in faith feels awfully–well, wretchedly–similar. Needless to say, I’m grateful to Winner for wrapping story around it. Christians need to give testimonials about emptiness as a facet of the Sacred. Otherwise the world assumes we’re wearing blinders; otherwise we don’t represent well the beloved paradoxical truth that is God. Now here’s an unexpected memoir! Sera Beak is a theologically educated woman with experience in New Age traditions who has dedicated her life to the Red Lady–her name for the goddess Kali. Two aspects of Beak’s story made this a worthwhile read for me. First, she’s achingly (and sometimes gruelingly) honest about the difficulties of serving this demanding, wild, rule-breaking and sensual divinity. Staying true to her path required long spells of despair and painful reordering of priorities and lots of social rule-breaking. I appreciate anyone who doesn’t sugar-coat the spiritual life, no matter what form it takes. Second, I found Beak’s depiction of the Red Lady a nice challenge to my feminist Christianity. She explores aspects of divinity that Christianity steers clear of–the holiness in seduction, in sexual touch, in wild dancing, in a fierce, destructive, feminine force. I like having my God-box broken open. This book’s strength–it’s scholarly foundation–is also its weakness. I wished for more ordinary, embodied stories. I wanted less of the abstract, internal struggles of faith and more of the lived consequences. I also had to remind myself that Beak was evoking only one aspect of the goddess. The mother in me longs for a similar, serious memoir about the mother goddess, grounded in the earth, profoundly relational, and generous beyond imagining. But that’s a different story. I’m not one to be impressed by a tattoo-sporting, cussing, former comedian Lutheran pastor. There’s too many realcontradictions in the life of faith to think these external ones carry much weight. PATRIX flaunts these and more–Bolz-Weber seems (although never directly claims to be) queer identified, she’s a recovering addict, she’s hip, and she plays these cards a bit too self-consciously for my taste. Maybe demons are defined as anything other than God that tries to tell us who we are. And maybe, just moments after Jesus’ baptism, when the devil says to him, “If you are the Son of God…” he does so because he knows that Jesus is vulnerable to temptation precisely to the degree that he is insecure about his identity and mistrusts his relationship with God. So if God’s first move is to give us our identity, then the devil’s first move is to throw that identity into question. Leave it to a member of an identity-conscious generation to unearth this understanding of God’s intimacy. I find it refreshing. Thanks, Nadia! After I lost everything I owned in a fire, a writing mentor of mine shook me by the shoulders and said, “You have material, woman!” While this is a crass thing to say, for writers it’s usually true. A story can redeem hardship. The redemptive power of storytelling is evident in Monica Wesolowska’s HOLDING SILVAN. Wesolowska’s healthy baby was asphyxiated and irrevocably brain damaged during delivery. She and her husband chose to stop all medical intervention and feeding, allowing Silvan to die naturally in their arms. But the process took weeks. Silvan’s decline was gruesome, and beautiful. Wesolowska recognizes early on that Silvan’s story is broader and more substantial than his tiny, short life, so the grief she details serves this redemptive, transformative purpose, making art from her love and loss. Even this ultimate tragedy, the death of an infant, is suffused with joy. That Wesolowska can recreate that joy in a reader is a tremendous gift. I’m kicking myself for not reading MYSTERY AND MANNERS years ago. Flannery O’Connor is a fiction writer, I told myself; what could she teach me about spiritual memoir writing? And yet some of these are the best essays I’ve ever read about addressing the spiritual life in prose. If a writer is any good, what he makes will have its source in a realm much larger than that which his conscious mind can encompass and will always be a greater surprise to him than it can ever be to his reader. –Flannery O’Connor, Mystery & Manners, 83. The novelist with Christian concerns will find in modern life distortions which are repugnant to him, and his problem will be to make these appear as distortions to an audience which is used to seeing them as natural. … When you can assume that your audience holds the same beliefs you do, you can relax a little and use more normal means of talking to it; when you have to assume that it does not, then you have to make your vision apparent by shock—to the hard of hearing you shout, and for the almost-blind you draw large and startling figures. –Flannery O’Connor, Mystery & Manners, 33. How do we do this in memoir, or essays? I’m curious to explore this. I also love O’Connor’s perspective that her faith, rather than diminish the terrain of her content or the breadth of her perspective, actually demands more of her craft. Good writing addresses the farthest reaches of mystery, O’Connor says, and faith requires us to live in relationship with this mystery in every moment–or, more to her point, with every mundane detail of our days. In a literary world so often devoid of believers, O’Connor is a must-read. For the past few weeks I’ve been living in the South Bronx with Heidi Neumark–and loving it. BREATHING SPACE tells the story of personal transformation wrought by church on pastor and communal transformation wrought on a church by this extraordinary leader. Neumark’s theology is solid, and inspirational. While at times I wearied of scriptural references, I appreciate what she accomplished with so many Bible passages: A translation of our foundational scriptural stories into a contemporary setting. Neumark breathes life into these old stories, and it’s a life that’s shockingly redemptive. What challenges me most reading Neumark’s stories is her profound compassion for all of humanity, especially those living in the depths of poverty. Poverty itself doesn’t scare me, but many factors associated with it–drug and alcohol addiction, violence, abuse–terrify me. When I encounter people who suffer from them, I turn away. Neumark doesn’t. Her faith in resurrection is extraordinary, and likely the key to her ministry’s success. I have two complaints about this book–first, it needed a strong editing hand (75 fewer pages would have done wonders for strengthening Neumark’s message), and second, the tiny typeface was ill-chosen. I almost put the book down because I couldn’t read it. Woe to the designer who chooses an unreadable font! I love Matthew Sanford’s genuine voice. It’s plain–this is a book without frills. It is welcoming–Sanford tells a good story. But most of all, this book is driven by passion. Sanford cares so much about the interconnections between body and spirit, his prose can’t help but move the reader. When I closed this book, I was struck by how love for a subject can transcend craft. 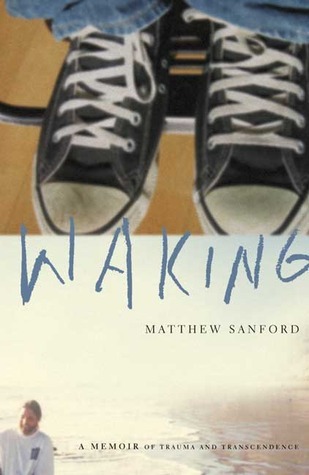 As a spiritual memoir, I found WAKING refreshing–the primary spiritual practice is yoga, and Sanford does a beautiful job illustrating the power of yoga to bring about wholeness in a broken body. This book is an excellent model for how our bodies are active players in our spiritual lives. Tracy Kidder is a genius. MOUNTAINS BEYOND MOUNTAINS is a journalistic portrait of Paul Farmer, the founder of Partners in Health and an extraordinary advocate for the Haitian poor. I admire how Kidder includes just enough of his own sense of intrigue–what makes this guy tick?–and discomfort–how come Farmer makes him feel inadequate?–to hook the reader in what feels like a personal story but in fact is largely biography. This book is a good example of literary journalism. Farmer is strongly influenced by liberation theology, but he’s brought these principles to bear on the field of medicine, especially the treatment of TB. I found many aspects of his work personally challenging. He remains a doctor dedicated to seeing individual patients, even if this entails 10-hour treks through the central plateau of Haiti, as he grows in prominence and eventually comes to influence national health care systems around the globe. Kidder implies that this groundedness in doctoring individuals is the key to his success. The more he advocates for quality care for individuals, the more Farmer gets into political trouble. Once again, radical love even on a small scale rattles those in power. His story has challenged me to keep my feet firmly planted in the dirty particulars of working with ordinary people while at the same time bringing the insights of this work out to influence a larger sphere. We have a mandate to correct economic and social injustices, Farmer says. How can I take up this mantel as a writer? I’ve a lot to think about. I have utmost regard for Mary Johnson. The theology she stakes her life on–a divine presence who invites humans into fullness–isn’t so remarkable in isolation, but when set against the theology of Mother Teresa and the Missionaries of Charity, it becomes radically rebellious. Mother Teresa’s a modern-day saint; we hold her in such high esteem, we find it difficult to imagine how very human she was. I admire the courage Mary had to muster in order to claim a God of unfolding love over the God of rules within Mother Teresa’s order. AN UNQUENCHABLE THIRST traces Mary’s twenty years in the order in terrific (sometimes excruciating) detail. I disliked myself at times while reading this book; I was turning pages to get the dirt on Mother Teresa more than to follow Mary’s journey. Perhaps this wasn’t my fault. I frequently wished Mary would abandon the close narration of events for a more reflective stance. I wanted to know what she thinks and feels about these events NOW. For example, there’s one scene where she confronts her superior for hitting children in their care that occurs not far from scenes of the nuns using the “discipline,” meaning flagellating themselves and cinching chains around their arms. I wanted a narrator to draw connections between the two forms of physical punishment and the theology implicit in both. Without this meaning-making, the book reads like a thriller. Nonetheless, I’m glad to have read it. Few contemporary authors portray the spiritual life with such honesty and accuracy. I’m so excited to discover this little window into Tolstoy’s faith! How have I missed it? I love his commonsensical approach to faith: Start from bare experience; pay attention to what works–that is, what gives meaning to life–and from there draw conclusions about the nature of God and the place of the church. Faith is a response to the questions of life (64), not a social construct or a proscribed creed. I wish more writers laid bare their inner struggles with such clarity.